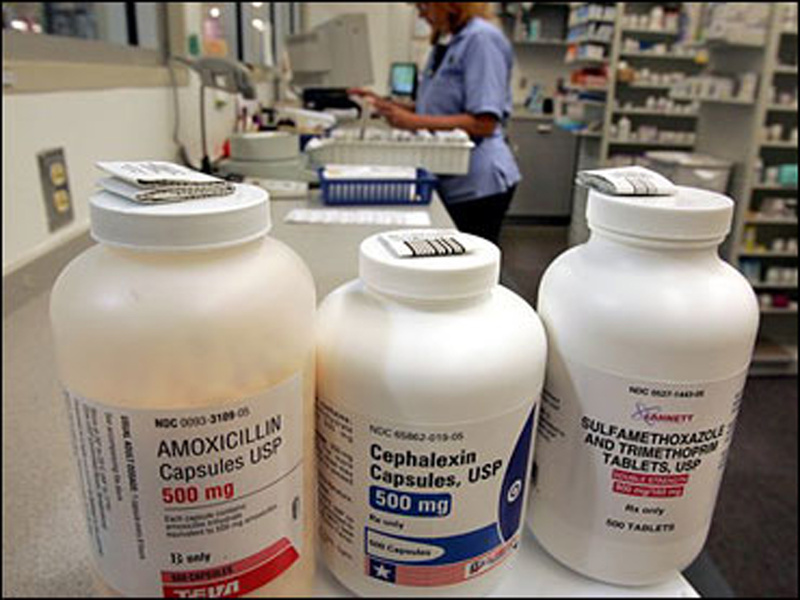 (CBS News) Overuse of antibiotics has become so prevalent that if the trend continues, a normal infection can become deadly, according to statements made by World Health Organization (WHO) Director-General Dr. Margaret Chan. "Things as common as strep throat or a child's scratched knee could once again kill," she warned. Deaths from gastroenteritis double in U.S.: What's behind rising rates? Speaking at a conference called "Combating antimicrobial resistance: Time for action" in Copenhagen on Wednesday, Chan warned that "drug-resistant pathogens are notorious globe-trotters," saying they easily hop on board with air travelers, are shipped along in globally traded food and have been accelerated through hospital-acquired infections, thanks to the growth of medical tourism. "We are losing our first-line antimicrobials. Replacement treatments are more costly, more toxic, need much longer durations of treatment, and may require treatment in intensive care units," she said. Chan explained that patients who have been infected by some drug-resistant pathogens now have an increased mortality rate of about 50 percent. For example, there are now about 650,000 cases of multidrug-resistant tuberculosis strains. Because treatment requires two years of expensive and toxic medication, about 325,000 of those affected will die. The CDC reported in 2008 alone, 8.2 percent of tuberculosis cases in the U.S. were drug-resistant. Though the majority of the cases were from people born overseas, over 18 percent were found in U.S. born patients. Drug-resistant pathogens might also be found in food. CBS News reported that a study showed that 47 percent of meat sampled from five U.S. cities in 2011 had drug-resistant staph bacteria, or MRSA. To make matters worse, the most deadly pathogens - which are resistant to the strongest antimicrobials - are being found in more and more hospitals. HealthPop reported that a treatment-resistant form of C. diff bacteria that causes gastroenteritis has contributed to a five-fold increase in deaths from the disease between1999 and 2007. More than 14,500 people a year now die from this strain of the disease, up from 2,700 in 1999. With antibiotics becoming less effective, more complex procedures like organ transplants and caring for preterm infants could become too risky and difficult to do. The problem is many drug companies see no point in investing to develop better antimicrobial drugs because they will just be rendered ineffective in a few years because of overuse. "It's simply not profitable for them," Dr. William Schaffner, chairman of preventive medicine at Vanderbilt University Medical Center in Nashville, told ABC News. He compared the problem to Ford creating a car that people would drive only if all other cars were not working. "If you create a new drug to reduce cholesterol, people will be taking that drug every day for the rest of their lives. But you only take antibiotics for a week or maybe 10 days," he explained. The Director-General said that doctors need to prescribe antibiotics appropriately and only when necessary. She said there also needs to be an overhaul in how much antibiotics are used in food production, and more needs to be done to stop substandard and counterfeit medications. In January, the FDA announced it's restricting the amounts of cephalosporin antibiotics used in cattle and livestock, citing concerns that people would be resistant to the drug if they develop a life-threatening disease, like pneumonia or meningitis. "If current trends continue unabated, the future is easy to predict. Some experts say we are moving back to the pre-antibiotic era. No. This will be a post-antibiotic era," Chan said. "In terms of new replacement antibiotics, the pipeline is virtually dry...The cupboard is nearly bare."